Psyonix is about to begin its first-ever double XP weekend for Rocket League. The three-day event will kick off later today in the US, and in the early hours of tomorrow morning in Europe. For a long time, Rocket League’s XP had very little impact on the game. Until relatively recently, the game had a level cap, and levelling up offered next to nothing – the only thing that changed as a result of XP was a new label every ten levels, which many players didn’t even have turned on. 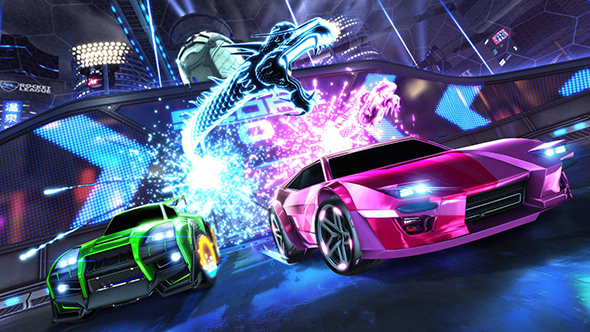 In a recent update, however, Psyonix introduced a cosmetic-focused Rocket Pass to the game, and removed the game’s level cap. The pass means that you’ll get a random item every time you earn a new level, which in turn means that XP actually relates to real in-game rewards. Psyonix has previously run events a little similar to this, focused around double drops, or more rare drops, but this is the first time that XP will have directly factored into an event like this. Rocket League’s double XP weekend begins later today, starting at 16:00 PT (00:00 BST). It’ll run until Monday, October 15, ending at 10:00 PT (18:00 BST). If you’re joining Rocket League’s 50 million players in the game throughout the double XP weekend, make sure to keep an eye out for the freshest new cosmetics.